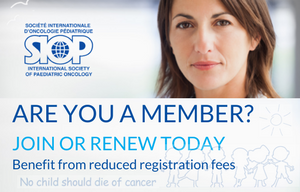 The 51th Congress of the “Société Internationale d’Oncologie Pédiatrique” (SIOP) will be held in October 23-26, 2019, in Lyon, France. Fifty years ago, in November 1969 in Madrid, Spain, our masters decided to set up the SIOP community. It was not for glory or celebrity; they realized that sharing experience was an absolute necessity in order to accelerate research and to develop more efficient and effective treatments. Since this day, International SIOP meetings have maintained the same spirit. The caregivers, such as nurses, surgeons, paediatric and radiation oncologists involved in the care of children and teenagers with cancer and their parents from all around the world meet every year to share results, experience, difficulties, progress and new tools, enriching each other. It is a unique and magical event where each caregiver can add their personal touch to improve knowledge or meet their seniors to learn more. It is our duty to pursue what I think we should call the “SIOP attitude”. I am honoured to continue this enriching story with the 51st SIOP meeting in Lyon. 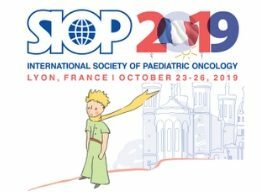 As such and on behalf of the Local Organising Committee, I would like to welcome all of you in Lyon for the next SIOP meeting to share your results and experience. 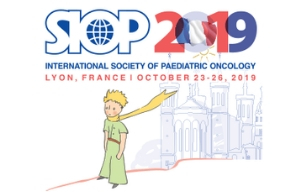 We hope that SIOP 2019 in Lyon will be an important moment to share research and knowledge and, thanks to all of you, help us to cure more children and to cure them better. Lyon, the second largest city in France, is a very quiet city, visited by two beautiful rivers with marvellous river banks. From the ancient theatres and abundant ruins that date back to Gallo-Roman times, winding through the Middle Ages and Renaissance influences in Vieux-Lyon, to the classical buildings on the Presqu’île and our modern museum at the confluence, Lyon will enchant you. The Tête d’Or Park along the convention centre will give you some quiet break between the sessions. We look forward to seeing you at SIOP 2019.